Have you started planning your summer vacation? We have been browsing French travel sites and realized pretty quickly that we should have started the whole planning process a lot earlier. Many vacation homes are already fully booked! When I think back to last year though, we didn’t start the planning process that much earlier. And we still had the best trip ever! 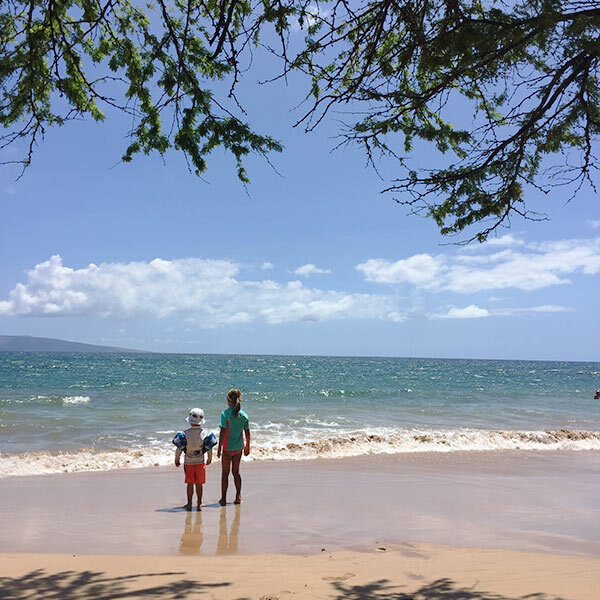 Last summer (July 2016) we did an epic 3-week-family trip to California and Maui, Hawaii. At that time we were technically still living in Chattanooga, Tennessee, though our entire household was already stuffed in a shipping container and on the way to Germany. We didn’t have a home anymore and were in the transitional period of being neither here nor there. At that time – and even more now – I believe that this was the perfect time for THE trip. The once-in-a-lifetime, multiple locations, saving-money-is-for-later, keeping-my-mind-off-the-future-trip. 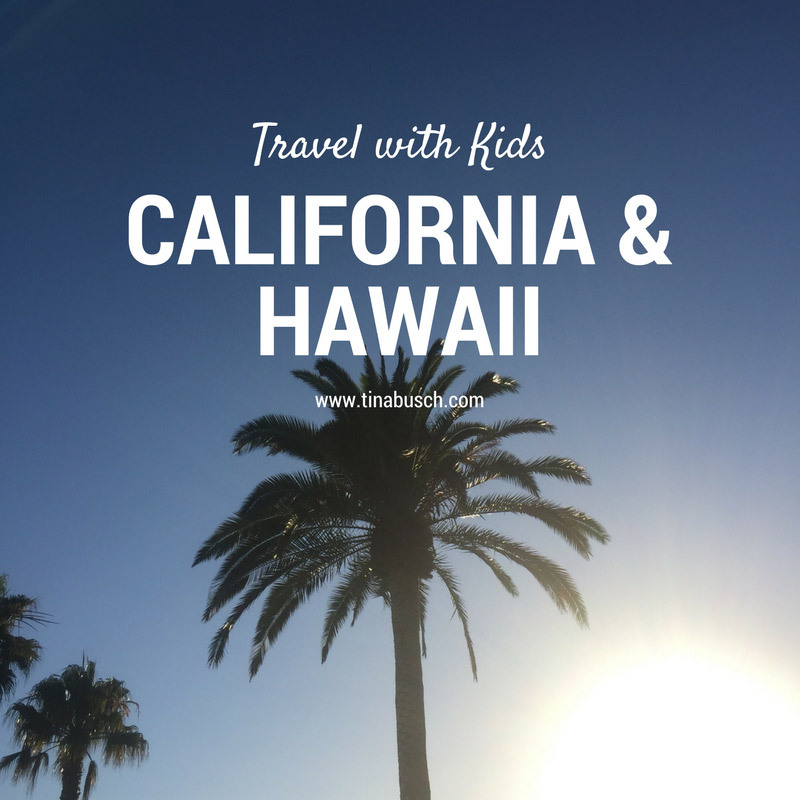 We visited San Francisco – twice, traveled the California Coast on Highway 1, and jumped on a plane to paradise – to Maui, Hawaii. An epic trip with our kids (who were 6 and 3 at that time), the camera, and the address of a good coffee shop saved in my phone. During our first stay in San Francisco we stayed at the Intercontinental Mark Hopkins hotel that we booked through Hotwire (on this travel site you enter the date, location, number of stars, price range etc. ; the hotel will only be revealed after the actual booking). Our spacious corner room was big enough for the two air mattresses that the kids slept on. It also offered an amazing view over the city! The hotel is located on top of Nob Hill (very windy!) and is in walking distance to Chinatown, Union Square, and a Trader Joe’s. A cable car stop is around the corner. And Uber is of course always an option when tired childrens’ legs refuse to walk any further. We visited Alcatraz which both kids loved and are still talking about today. Especially the vivid audio tour makes the whole experience even more real. 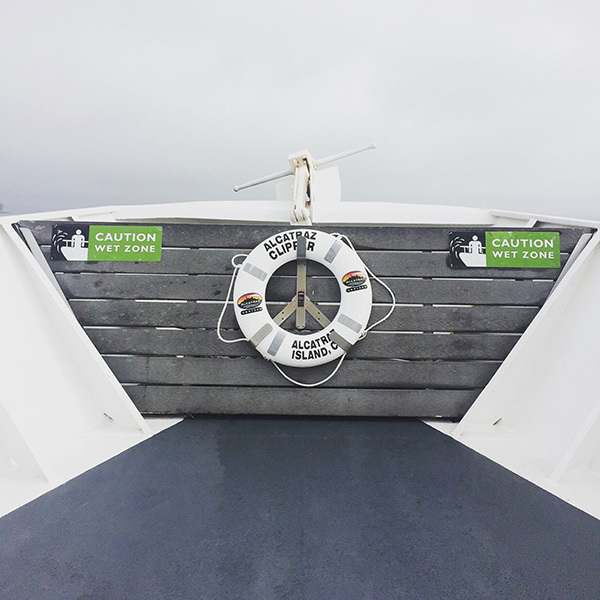 Please be aware that you need to book the tickets well in advance (about 90 days before the actual visit) through Alcatraz Cruises. These first three days gave us a great overview of the city without having to rush from one sight to the next. Since it was cold, windy, and foggy – which is pretty normal for July – we saved the Golden Gate Bridge for our second stay, hoping for better weather and warmer temperatures. With our rental car we first drove to Monterey, stopping briefly in Palo Alto at the Facebook headquarters. All you can see here is the Facebook sign. That’s it. From Monterey we drove South along Highway 1, stopping frequently at pull-outs along the way that offered amazing views of the rocky coastline. This part of the trip was definitely not the most exciting for the kids (dolphins in the distance and seals on the beach were about the only exceptions) and I was more than thankful for the digital devices that kept them busy. We made hotel reservations only for the first two nights in Monterey and booked all the other nights on the go, either at Hotwire or VRBO. This was risky because July is high travel season, but it was also exciting! Otherwise we wouldn’t have come across this gem: the wine country around Paso Robles. As we couldn’t find any free rooms at the coast, we were looking for an alternative location and it was Paso Robles that popped up on VRBO. We stayed in this small but welcoming and really cozy house and enjoyed not only the patio, but also the washing machine and dryer. A necessary feature when you travel with kids. 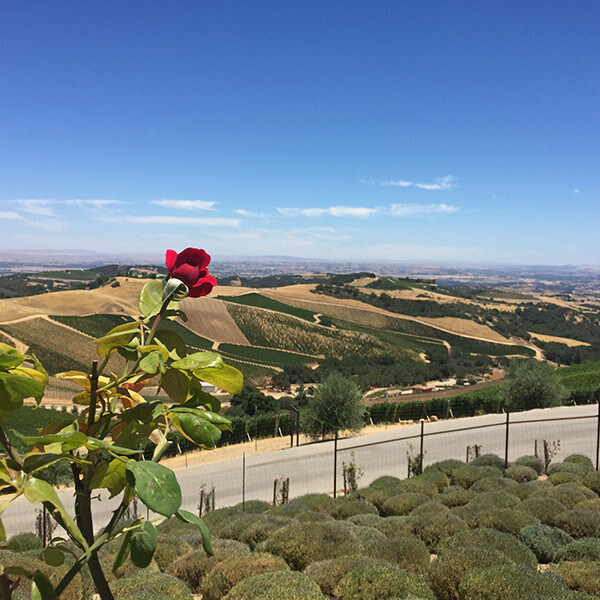 The area around Paso Robles is beautiful with plenty of vineyards that offer wine tastings and breathtaking views. It is definitely worth the detour! From Paso Robles we didn’t return to the coast right away. 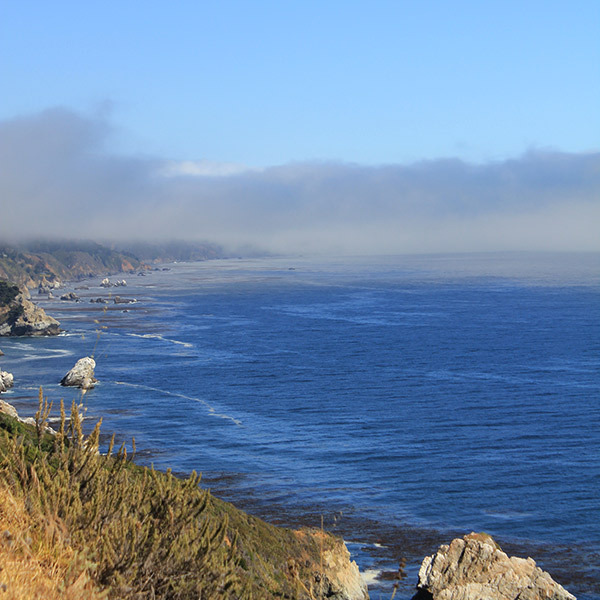 Instead we traveled inland through San Luis Obispo – a town that I instantly fell in love with. So many unique boutiques, cafés, bars and restaurants. Here we even found a little bit of Germany at the Kreuzberg coffee shop. Our last and very brief stop at the California Coast was Santa Barbara, a busy touristy town, that is worth a visit. On our return trip North we stopped briefly in Solvang, a small town with a Danish heritage. Catching an early flight with Hawaiian Airlines from Oakland, we finally landed in paradise. 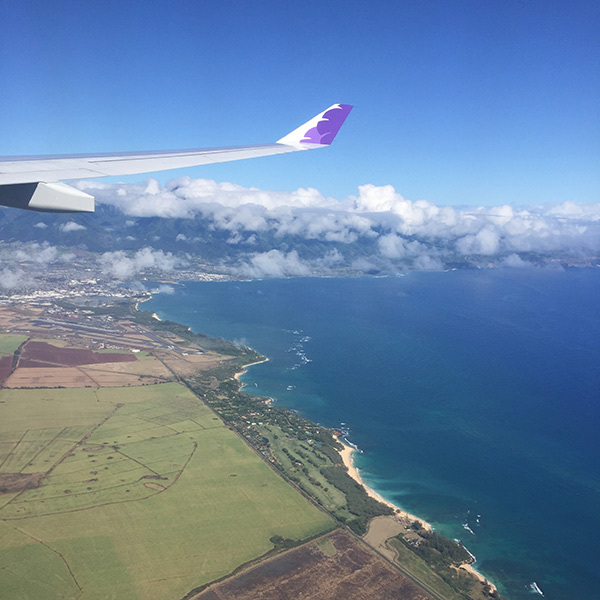 Maui is all you dream of when you think of Hawaii. It’s the ultimate beach destination for families! We split up our stay between the cosy and colorful bed & breakfast Two Mermaids on Maui and a rather unremarkable apartment in Kihei that was closer to the beach. During our stay we spent hours and hours at the beach, took in the lush scenery, enjoyed the most amazing sunsets, got really close to gigantic sea turtles, watched surfers of all ages dancing on the waves, indulged in fresh papayas, mangos and melons and ate the best fish tacos ever. We debated for a couple of days whether to watch the sunrise (supposedly more spectacular) or the sunset from Haleakala. We ended up witnessing a kid-friendly and still impressive close of the day. 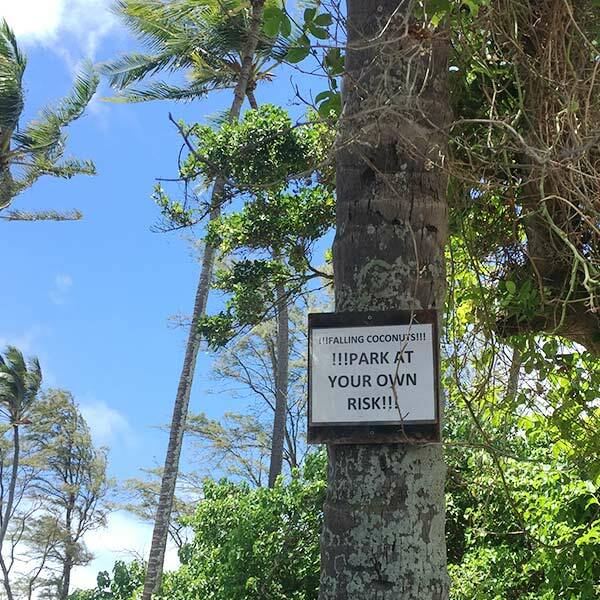 The Road to Hana, another must-do on any Maui activity list, wasn’t meant to be. With kids and the weather – you never know what is going to happen. After 10 days on Maui we very reluctantly started our long journey East and returned to the mainland. With Hawaiian vibes in our bodies, all things palm trees and pineapple in the suitcases, and a flowery lei around our necks. 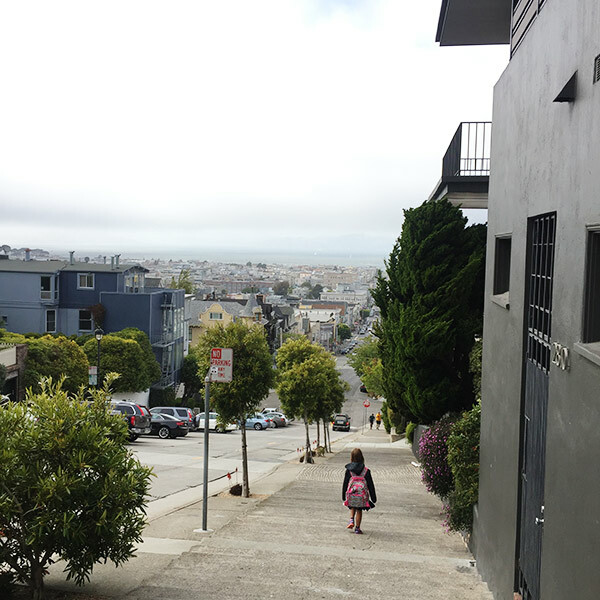 The second time around time we chose this beautiful apartment in Pacific Heights as our starting point for our city adventures. Down the street from the apartment there is a really good coffee shop that has the perfect photo backdrop for Instagram! Our highlight was by far the bike ride across the Golden Gate Bridge. It was a windy, but sunny day so that we got a crystal clear view of the bay. We stopped in Sausalito for a bite to eat and took the ferry back to Fisherman’s Wharf. 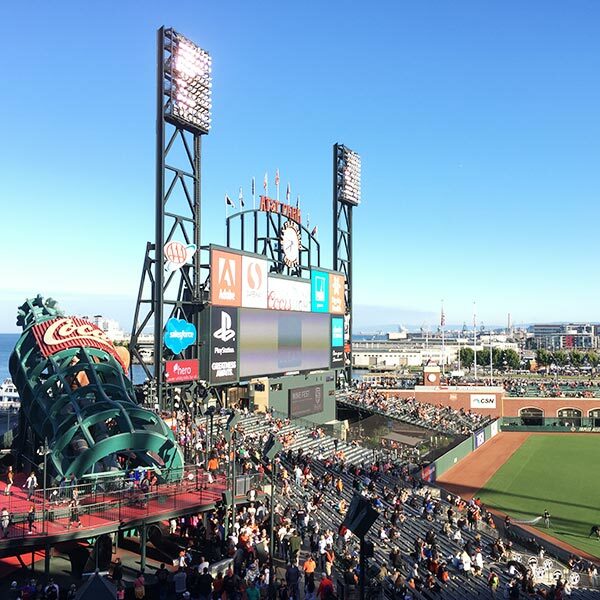 Our trip ended with a Giants baseball game; peanuts and cracker jacks included. Would we do this again? Definitely! This really has been our best family trip so far. Browsing through the pictures now brought back so many positive, sunny and warm memories. Just what I needed on this cold February day. And it’s also a big reminder that I should start putting together a photo book. If you are planning a trip to California or Hawaii and are interested in a more detailed description of our route, please let me know! I’m more than happy to give you more recommendations on all the places we visited and the things we did. 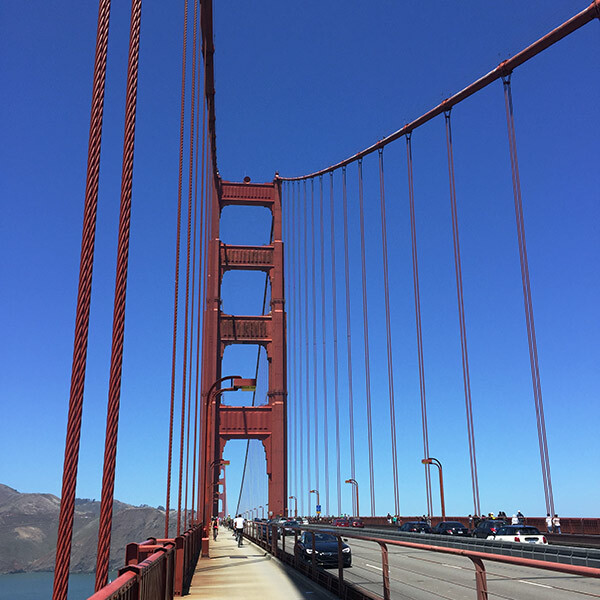 This entry was posted in Reisen and tagged Travel, USA. You hit some of our favorite spots! If you ever have the chance to go back, try Kauai! It’s our favorite island! We like the North Shore better than the South Shore but with smaller kids the South might be more enjoyable. If you come back to CA, let me know! Don’t know how much longer we’ll be here though.